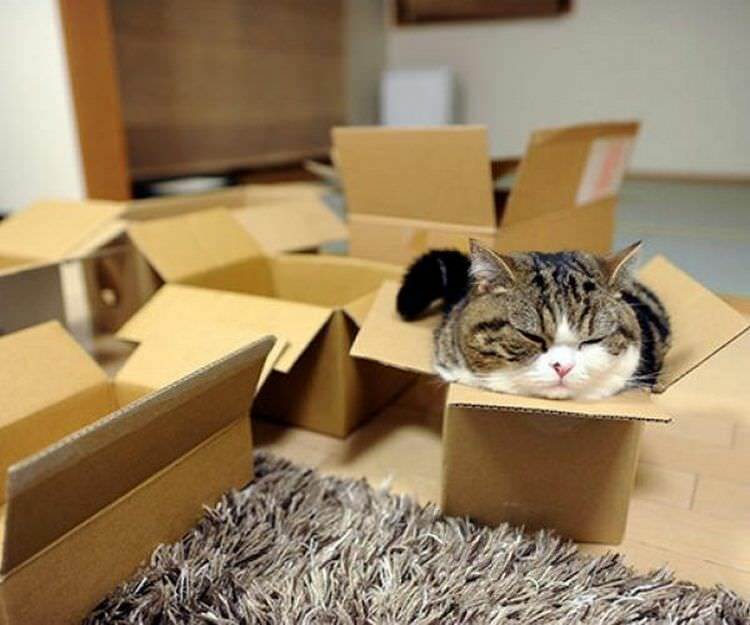 Cats are notorious for their enduring fondness of unlikely nap locations. 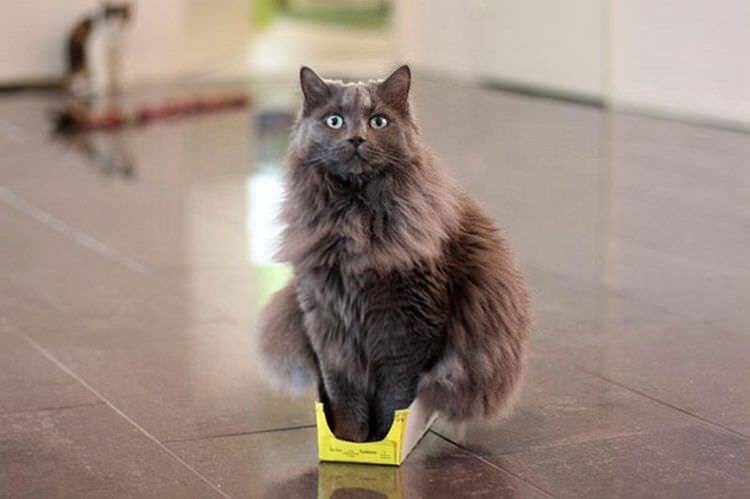 No space is off bounds! 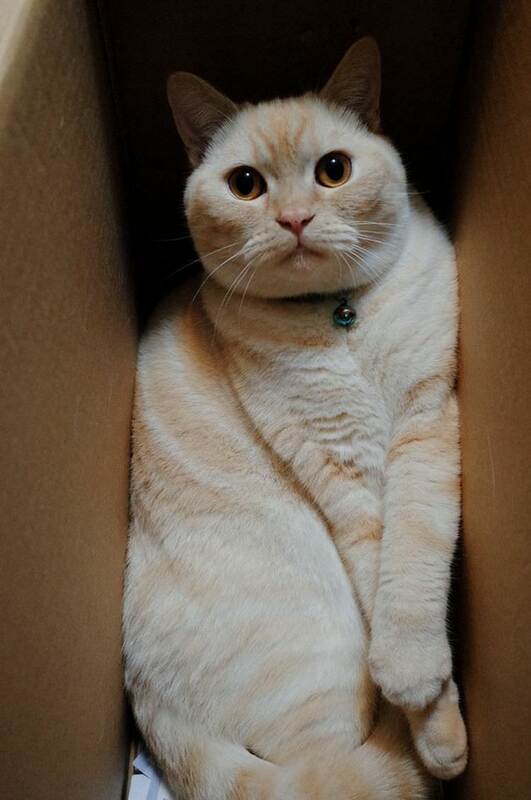 From the smallest of nooks to the slightest of crannies, lazy cats can contort themselves to fit the most uncomfortable corners. 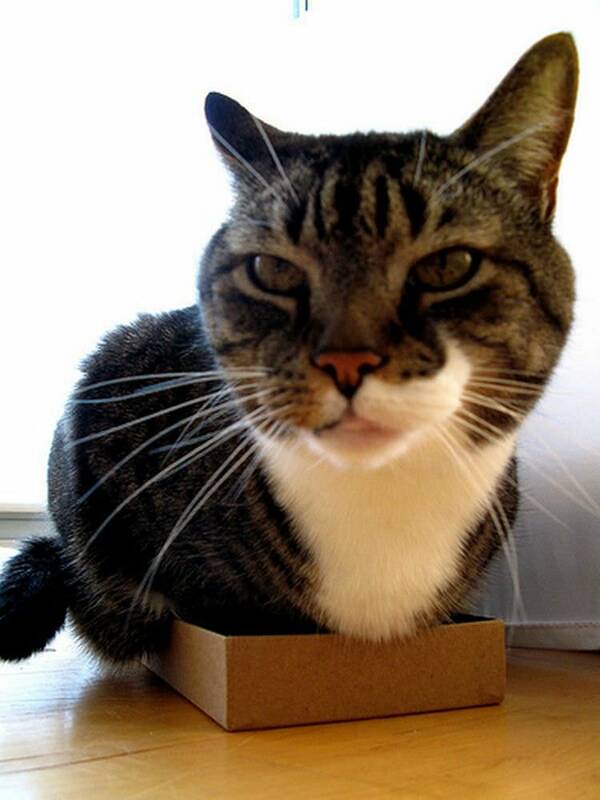 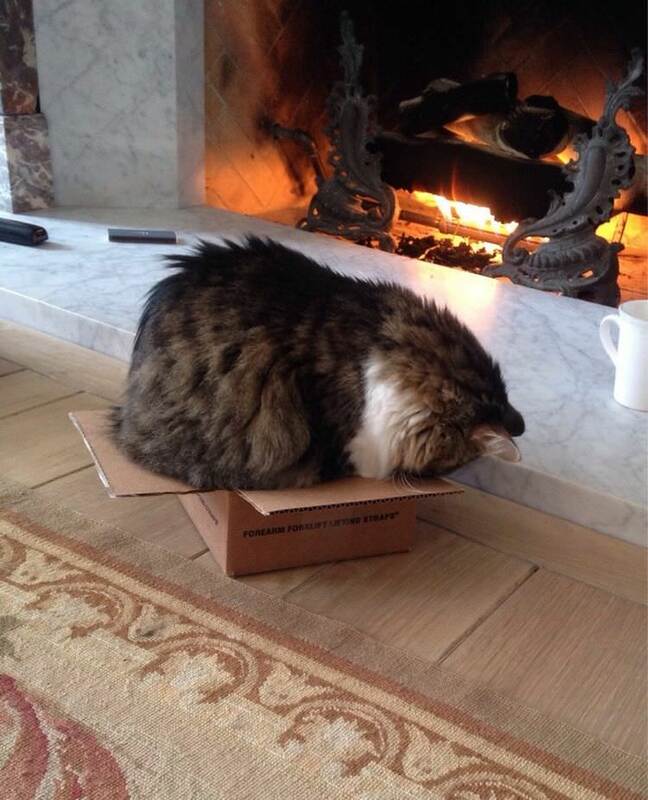 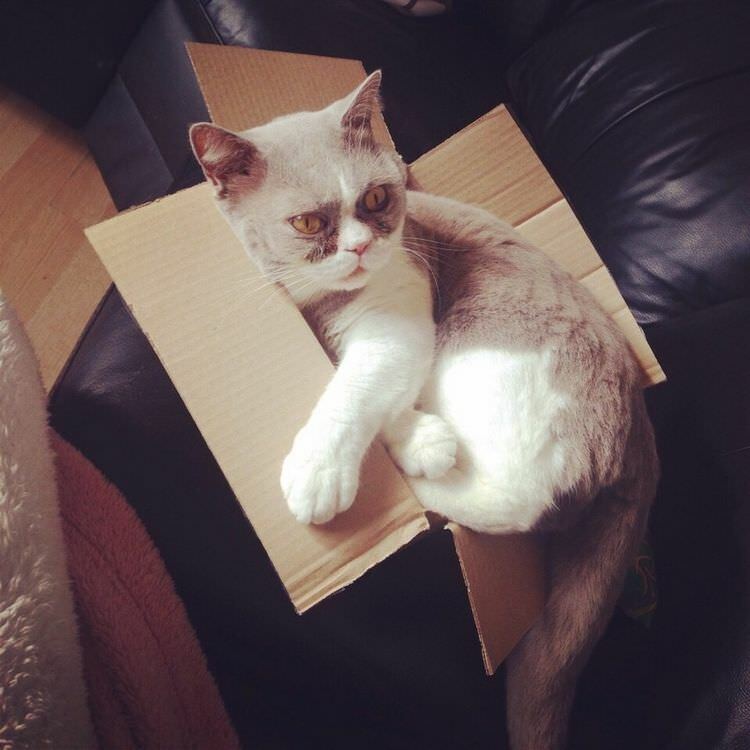 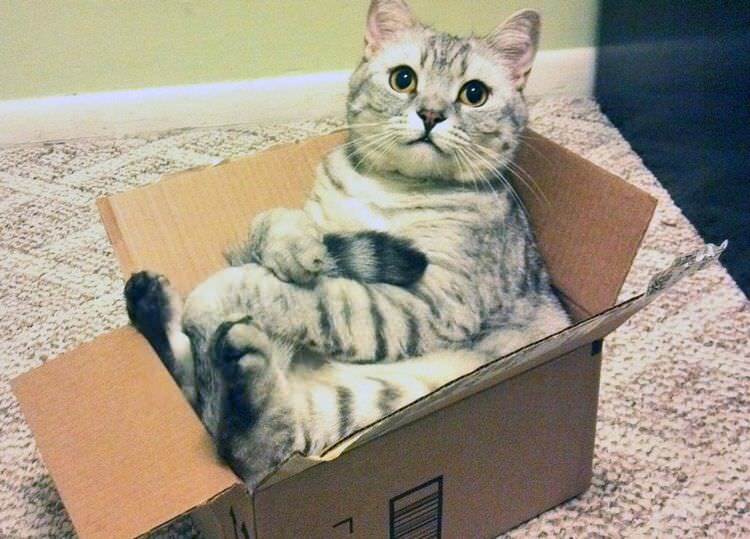 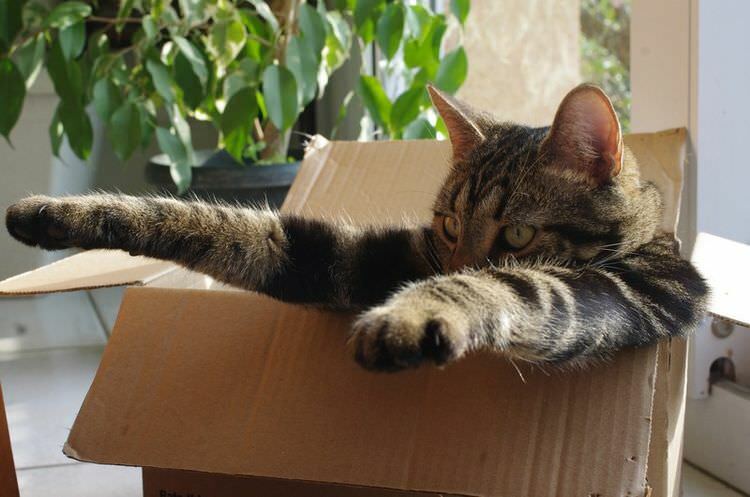 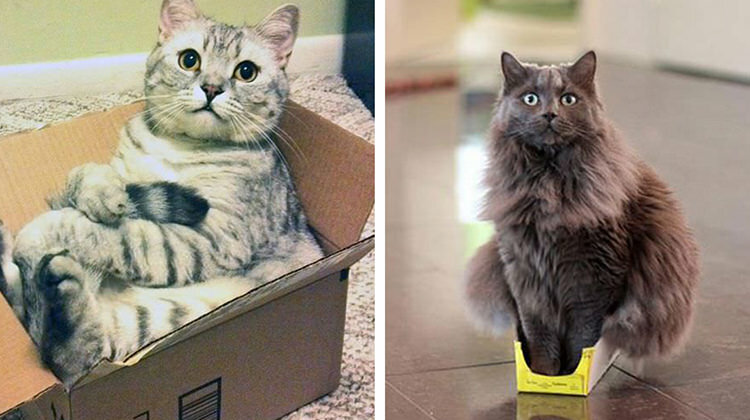 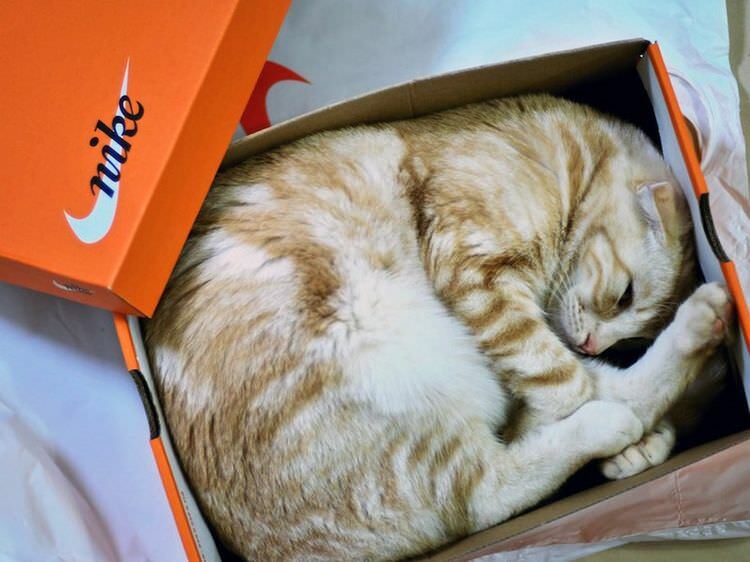 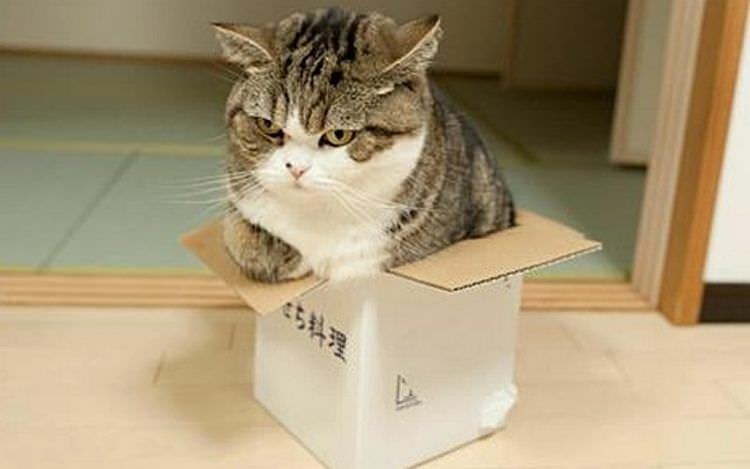 Boxes, of all things, seem irresistible to our feline friends; but what good is a little box to a large cat? 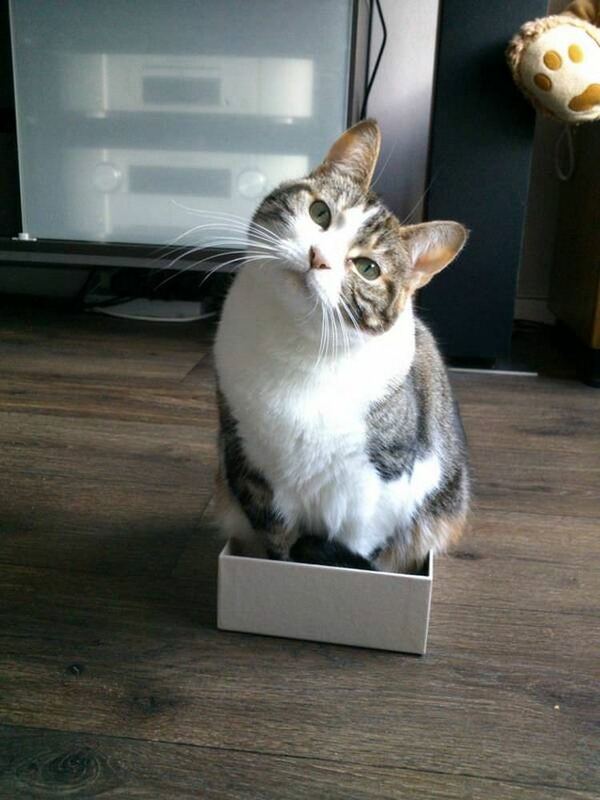 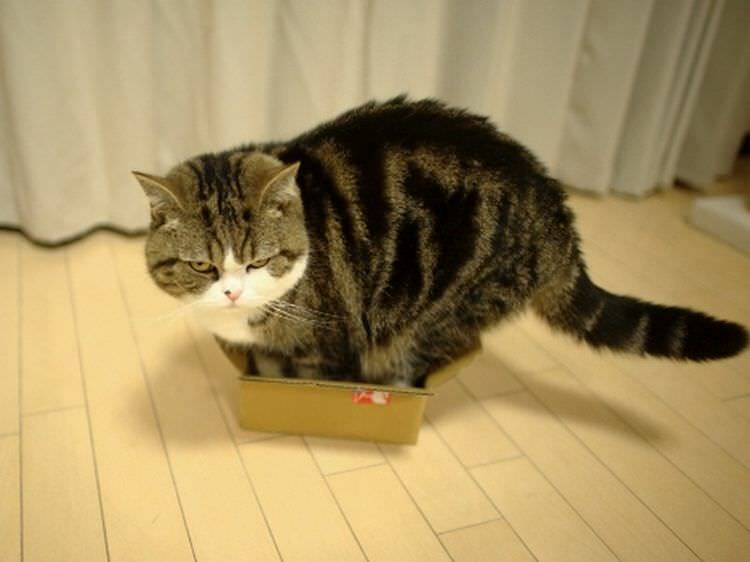 A number of fat felines have taken it upon themselves to demonstrate the utility of various tiny boxes for our viewing pleasure. 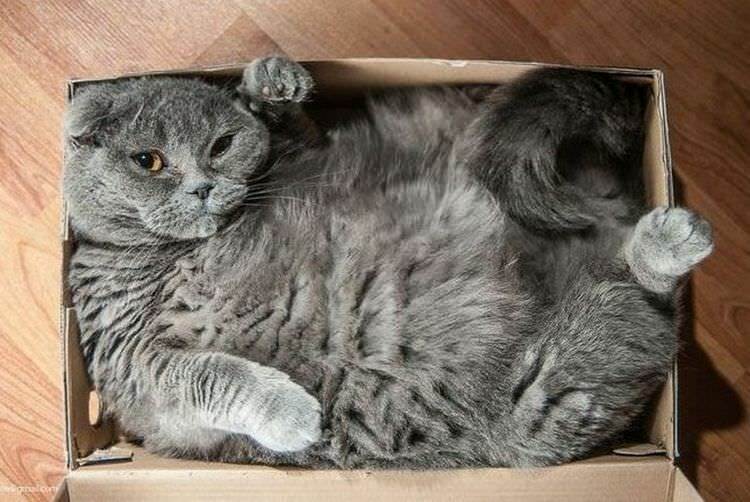 This gluttonous glaring of chubby kitties in small boxes should put a smile on your face, no matter what sort of day you’re having.